Composite, by definition, means “having many elements.” Generally, the composite lid joins an injection molded rim and a printed paperboard insert for the purpose of combining exceptional graphics you would expect from paper with the function and fit of a plastic lid. Composite lids have historically been used with oatmeal canisters, ice cream containers, dry soup products and yogurt cups. Double H started making composite lids in 1985 after purchasing the VersaForm technology. Thirty-four years later, Double H has made the composite lid the cornerstone of its packaging business; producing lids in two locations, Warminster, PA and Marion, IN. There have been many changes over the years to provide solutions for opportunities in the market. From early overcaps and plug styles to a recent lid with an integrated spoon, the composite lid can come in many forms but the goal is the same, to provide a better fit and look. Most recently, Double H launched a tamper evident composite lid. With the tamper evidence built in, the brands can remove a step in the manufacturing process without sacrificing safety and quality. Composite lids can be designed to partially open and re-close, to have a separate utensil, to have a “window” or use printed plastic inserts in place of paperboard for even better product visibility. A composite lid is stronger than an all-paper lid, holds up better in distribution, and does not tear or separate on the shelf. The paperboard insert can be enhanced with: embossing, de-bossing, foil stamping, special inks or coatings. The insert can be reverse printed with direct food contact inks for printing recipes or coupons and can have game pieces or separate printed inserts attached. Think: contests, specialty market info, and promotion of additional products! The frame of the lid can also be decorated to designate new or limited-edition flavors or special offerings as well as the option for a range of unique frame colors. Paper Sided Lid with full graphics capabilities. Lids can be a great way to promote and to protect your product. With the many enhancements available, lidding can set your product aside from others on the shelf! Please refer to our website www.doublehplastics.com or email packaging@doublehplastics.com with any questions or comments. 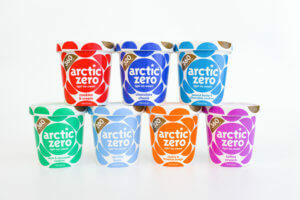 Double H Plastics is a manufacturer of Plastic & Paperboard Packaging that services industries such as Ice Cream & Dairy, Consumer Products, Cereals, Convenience Foods and Pet Care. Through a unique injection molding process we use paperboard inserts and a variety of plastic resins to mold custom packaging solutions. This process allows for exceptional graphics and superior functionality in a wide array of shapes and sizes. In addition, Double H can supply Formed Paperboard Cups and Containers as well as Solid Injection Molded components and IML Packages. 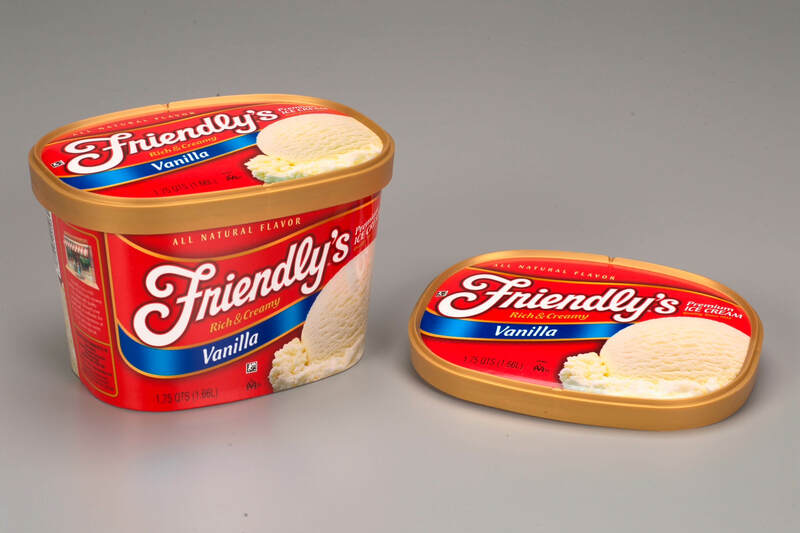 Sizes range from 3.6 Ounces to 5 Quarts. 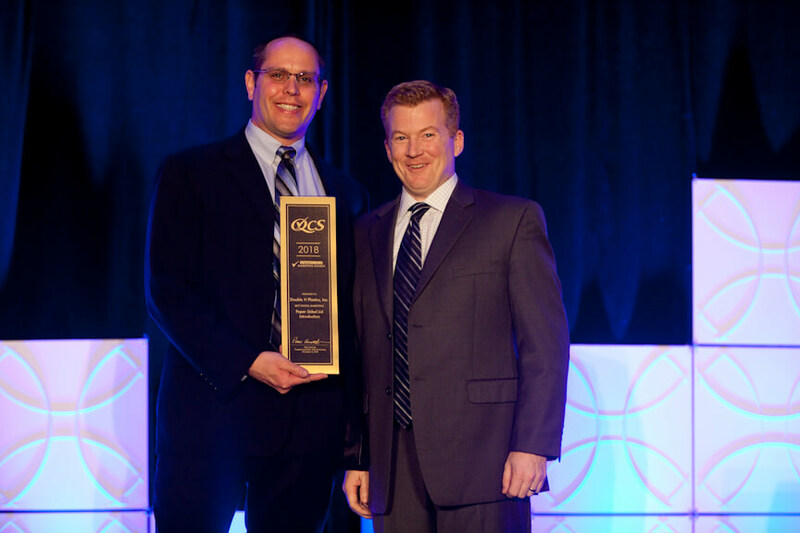 A snapshot from the QCS Leadership Conference where Double H accepted 1st place in the Outstanding Marketing Awards for “Best Digital Marketing” with our PSL (Paper Sided Lid) Video! Come see us at Booth #2007! 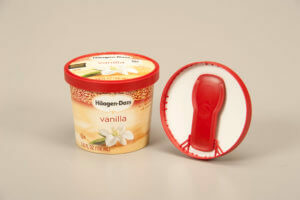 Double H Plastics is pleased to introduce a new paper sided pint lid (PSL) for the Ice Cream & Frozen Dessert Markets! The hybrid lid offers six color, fully registered, skirt printing combined with a rigid plastic inner frame that allows for the best possible lid fit and function. 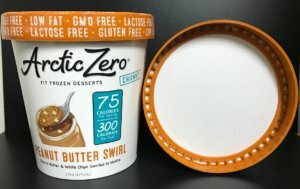 Double H has introduced a new paper sided pint lid (PSL) offering six color, fully registered, skirt printing around the outside combined with a plastic inner frame that allows for the best possible lid fit. In addition to the registered skirt print, Double H offers additional print enhancements like: embossing/debossing to provide texture, backside printing for additional billboard, and alternating matte and gloss finishes to further differentiate our Customer’s brands.